Why does exercise feel so different after an autoimmune diagnosis? Activities that our bodies loved in the past can now cause an autoimmune flare. Yet, not moving at all isn't healthy either. So, what do we do? In this podcast, we get professional insight into this topic. 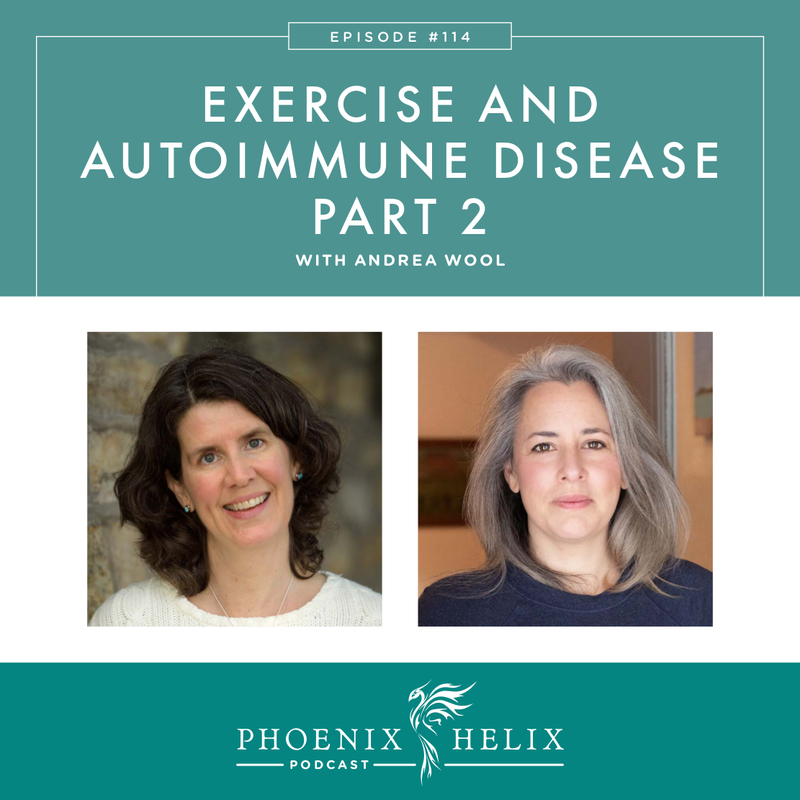 My guest, Andrea Wool, is a certified personal trainer and founder of Autoimmune Strong – a fitness website designed specifically for people with autoimmune disease. 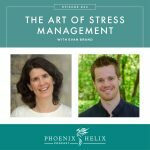 She'll be teaching us about the connection between stress, inflammation, and exercise, alongside its potential risks and benefits to our health. This is a companion podcast to Episode 63: Exercise & Autoimmune Disease – Part 1. 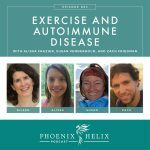 In that episode, 4 people with autoimmune disease share their personal exercise journeys. They make true, traditional bone broth – that means it gels, is certified organic, uses only grass-fed & pasture-raised bones, and it’s frozen (no preservatives or high-heat processing.) They also triple filter the water used in the broth, cook in stainless steel pots, and cool it completely before adding it to their BPA-free packaging. The company was started by a nutritionist and chef, after seeing dramatic changes in their son’s health when they switched to a real food diet which included bone broth every day. They sell 4 varieties: beef, chicken, turkey, and a frontier blend which uses a combination of beef, turkey, lamb & bison bones. 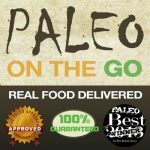 All of their bone broth is compliant with the elimination phase of the paleo autoimmune protocol. They also sell 6 varieties of soup, and 2 of those are AIP-Friendly: the butternut squash soup, and the chicken vegetable. 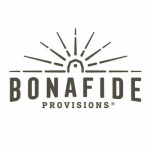 Place an order here, and use the code PHOENIX for 20% off your first order. I'm honored to be nominated in 4 categories: Best Podcast, Best Website – General Health, Best Website – Recipes, and Best Inspirational Voice. The ballot is online and you can vote through Monday 1/28. Your support means so much! Thank you. Andrea Wool is a certified personal trainer and founder of Autoimmune Strong – a fitness website designed specifically for people with autoimmune disease. She herself has celiac disease, Hashimoto’s, and fibromyalgia. Prior to developing health issues, Andrea was an avid athlete. She was a competitive skier and cross-country runner in high school, and as an adult loved high-intensity, cardiovascular exercise. It was part of her identity. Her autoimmune symptoms manifested after the birth of her second son, but it took another 2 years before she received her diagnoses. She struggled even to walk up the stairs or pick up her 3-year-old, and her fatigue was so high she needed naps every day. Exercise was out of the question. She was also unable to return to work. Highly motivated, she started researching healing diets, and changing her food choices improved her symptoms substantially. But whenever she tried incorporating exercise back into her life, it would cause autoimmune flares. She went back to school to learn more about exercise and health, and started developing a gentle, progressive exercise program that worked for her own body. This became the foundation for Autoimmune Strong. Now, her life is so much better! She has energy, works full-time, and her favorite form of exercise is strength training. She still has to tune into her body and take it easy some days. But she's come leaps and bounds from where she started, and it's her mission in life to help others do the same. Potential Benefits: Enhanced overall physical and mental health, reduced anxiety and depression, reduced fatigue and improved energy levels, improved sleep, reduced pain and inflammation, improved range of motion, and elevated T-regulatory cells. Caveat: Over-exercise for people with autoimmune disease has the opposite result, reversing all of those benefits above. The key is finding that “sweet spot” which varies by individual, and can also vary day-to-day. Physical activity and autoimmune disease. Effects of exercise on physical limitations and fatigue in rheumatic diseases. Specific research by diagnosis: IBD, Lupus, MS, and RA. People with autoimmune disease experience exercise intolerance, a lower capacity to handle exercise due to a higher stress burden. 3 types of stressors: (1) The autoimmune body has a hyper-vigilant immune system that's always on high alert. This acts as a constant internal stressor, even when we're resting. (2) External stressors from life are added on top of that: work stress, emotional stress, relationship stress, but also the normal stress of day-to-day life. (3) Finally, exercise itself is a stressor. When these three things combine, it can become too much for the autoimmune body to handle, resulting in increased inflammation that can turn into an autoimmune flare. An exercise-induced autoimmune flare can look different for different people. 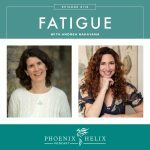 If might be an exacerbation of autoimmune symptoms, but it can also manifest as high fatigue, flu-like symptoms, moodiness or irritability, or an inability to sleep. This might happen immediately after exercise, or not until the next day, or only happen cumulatively after a week of new exercise. How much exercise a person with autoimmune disease can handle depends on the interaction of these three stressors: What's the current level of autoimmune activity and inflammation in your body? What's the stress level in your life right now? How well are you managing that stress? What self-care measures do you do on a daily basis? What's the intensity of the exercise you are choosing? When exercise causes an autoimmune flare, we actually don't get any exercise benefit. Not only do we miss out on the health benefits listed above, we also don't meet our strength, endurance, or weight loss goals, because we are unintentionally stoking inflammation in the body instead. When adjusting your exercise routine, there are 4 things to consider: (1) Intensity (2) Duration (3) Frequency (4) Type. If you are in a cycle of exercise-induced flares, start low in all 4 areas, to give your body a chance to recover. Stretching and gentle strengthening exercises are a good choice when in the recovery phase, with a focus on core body strength. Why exercising too much hurts the gut. Why you may need to exercise less. How to exercise with an autoimmune condition. A fitness membership website designed by Andrea for people with chronic illness. It's a progressive exercise program that you can do at home, and it's designed to harness the benefits mentioned above, while avoiding an exercise-induced autoimmune flare. She begins by teaching core strengthening and flexibility training, and slowly increases the intensity from there. The goal is to help people learn to listen to their bodies, adapt their exercise accordingly, and safely rebuild strength and fitness. The program includes videos, a private online support group, monthly Q&A calls, and educational resources. She adds new resources all the time, based on membership needs. In addition to exercise, the program also teaches foam rolling (also known as self-myofascial release). You can register for a free 7-day trial, to see if the program's right for you. If you like what you see, use the code PHOENIXHELIX for $10 off your first month's membership. Chef Ann has been busy in the recipe testing kitchen! Check out their newest menu offerings: Chicken and Dumplings, Savory Hash Breakfast Bowl, Italian Wedding Soup, Orange Chicken with Asian Stir-Fry, Bison Salisbury Steak with Mushroom Gravy and Onion Confit Cauliflower Mash, and 2 new desserts: Tigernut Swirl Brownies and Snickerdoodle Cookies. There's a grieving process that comes with autoimmune disease, when our bodies and our lives have dramatically changed. It can feel very lonely because it's often an invisible illness. To others, we “look fine”, so why can't we do what we did before? And we ask ourselves the same question. Guilt, shame, self-judgement, and feelings of worthlessness are common. Anger, too! The end result can be a steady stream of negative self-talk, where we end up kicking ourselves when we're already down. Over-exercise often stems from a desire to change how we look, regardless of what our body is telling us it needs. The end result, though, is that we don't lose weight because we're stuck in an inflammatory cycle, and our autoimmune symptoms get worse as well. The type of exercise Andrea advocates can be a path back to self-love. We learn to truly be in our bodies, listen to their messages, and step-by-step become stronger and more capable through a gentler exercise routine. It sets us up for success instead of failure, and each step forward can be celebrated. It's an exercise routine that lets us feel proud of ourselves, instead of punishing ourselves. Andrea also feels it's essential to rediscover joy in our lives. Sometimes that means appreciating what we have in the form of a gratitude practice. Sometimes that means finding new activities and experiences we can enjoy in place of the ones we can't currently do. For her, it means finding reasons to belly laugh. It also means looking hard at the balance of giving and receiving in our lives. Many of us spent most of our lives putting everyone else's needs above our own. It can feel “wrong” when suddenly we need to prioritize our own needs and ask for help instead of being the person who always gave it. Part of the journey back to self-love is seeing that giving and receiving are both beautiful qualities. One is not more valuable than the other. When we overcome exercise intolerance and begin gaining strength and fitness, we have choices to make about the exercise we choose to do. An autoimmune body in remission is capable of much more than an autoimmune body that's flaring. Should we ever go back to the exercise we did before? Where's the line between being wise and not over-stressing our body, and being afraid – not willing to try for fear that we will flare or fail? It's all about listening to your body – and this is a skill you gained through the slow, gentle, progressive exercise that allowed you to overcome exercise intolerance. As you attempt a new form of exercise, listen to your body's signals. Also assess the amount of stress you have in your life. Remember that inflammation + life stress + exercise stress is the equation. If you want to increase your exercise stress, your inflammation should be minimal, and your stress well-managed. It's often a process of trial and error. You try a little bit more and see how it goes. If you flare, you cut back a little. And as long as you stay tuned into your body's signals, the flares will be less common and pass more quickly. Keeping a journal is also very helpful. Keep track of your exercise and how you feel afterwards, not just that day, but the following day and week as well. You can also use a Heart Rate Variability (HRV) monitor to help assess your body's capacity for exercise on a daily basis. Elite HRV is a free app for your smartphone. Andrea Wool's fitness website is called Autoimmune Strong. She offers a free 7-day trial, so you can see if the program's right for you. If you like what you see, use the code PHOENIXHELIX for $10 off your first month's membership. Organic Bone Broth. Obsessively Crafted. Traditionally Made.